Up until now, celebrities have been known to zip around town in their uber-luxury and sometimes one-of-a-kind vehicles for all to see. Whether it’s a low production run hypercar or a fully-bespoke Rolls Royce, there has never been a shortage of eye candy lining the streets of Hollywood as well as other metropolitan areas.  However, with recent global events putting personal security and privacy at the top of the to-do list for many elites, the shift to leave the Ferrari at home and fire up the bulletproof G-Wagon has become almost a no-brainer. While most celebrities have had the privilege of being shuttled about in an armored Chevrolet Suburban, Cadillac Escalade or GMC Yukon – it’s not until recent, that they have opted to equip their personal garages with armored vehicles, and in many cases, very heavily-protected but not necessarily discrete ones. Most will remember when Arnold Schwarzenegger was first spotted in his military-grade Humvee running day-to-day errands. Up until then, Los Angeles hadn’t seen much of these types of vehicles – apart from movie sets, military museums or parades. Was Arnie the first one to introduce civilian-operated armored vehicles to the streets of L.A.? Probably not, but he was definitely one of the first to hit mainstream media with it. As well as the ex-governor, many others have followed with their ultra-armored, ultra-flashy, ultra-Hollywood vehicles. Floyd Mayweather’s two-million-dollar armored limo truck definitely stands out from the pack with its fully-custom interior, a full master suite, dining room and bathroom. Others such as Kanye West purchased armored vehicles upholstered with whale skin and offering protection from chemical attacks. As far as ultra-luxury SUVs go, the Mercedes G Wagon is a common choice for armoring. 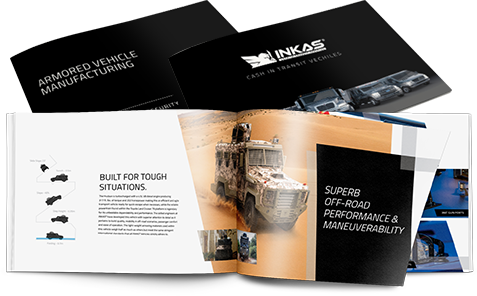 The strong chassis is able to carry extra weight with little impact to its speed and performance characteristics and the vehicle can be armored to withstand barrage from the likes of an AK-47 or the simultaneous detonation of two grenades beneath its floor. 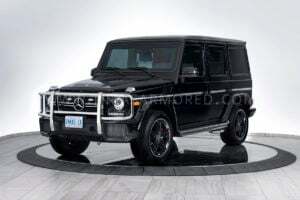 It seems that Conor McGregor shares the same opinion with his recent purchase of an armored Mercedes-Benz G63 AMG manufactured by INKAS®. Armored cars are clearly becoming more mainstream. 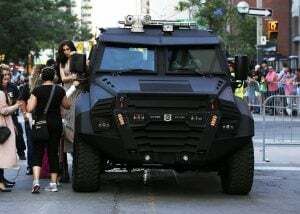 Fifth Harmony, made a memorable appearance at the MMVAs red carpet event by entering in an INKAS® Sentry APC – typically a vehicle built for law enforcement special unit transport – but seemed to accommodate the ladies just fine as well. Everyone knows that fame comes at a price, so extra precautions will never be superfluous. Other tabloid-exposed personas who made the switch to armored wheels include Steven Seagal, Melanie Brown and J.R. Smith. However, most of them prefer to keep the protection level of their vehicle as much a secret as possible. And we respect that! 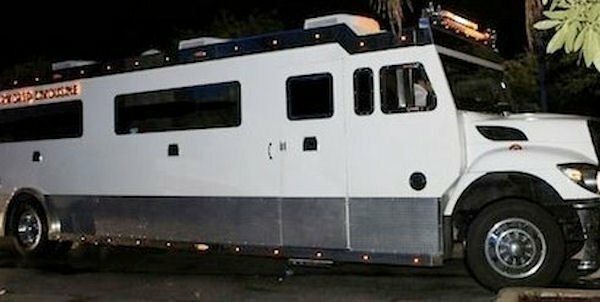 When it comes to civilian-operated armored vehicles, discretion is key.